Cower not, fierce reader! This fine day we have a premiere book from a new author at Castalia House, and another departure from fantasy and science fiction we can share with normal folk. Late, last week Vox Day called for reviewers, and I was fortunate enough to be chosen.Like most works from Castalia House, crimes against Social Justice are indeed the order of the day! Firstly, the primary source of all the crimes against SocJus: the book is set in 16th century Japan, and not in a revisionist manner. The author is aware of the culture, its virtues and vices, and keeps his story and his characters well within these expectations. And in many ways, this is nearly as pervasive as if the book were Catholic or Amish. There are clear societal differences between men and women. Each knows their roles, and acts accordingly. Furthermore, there is also the class system of fuedal Japan, where samurai are honored, even in poverty, and there is expected to be as much honor in the farmer as in the great warrior. This book also has the Japanese fixation on being honorable, which of course, the West has largely lost. This leads to many points of choices taken merely for being right, and not being the best, most expedient, or easiest. This includes raids, deception, and more, as each situation presents chances to act with honor or not. In many ways, this book is difficult for me to review. I do not consider myself well versed in Japanese history, and only have a passing acquaintance with the culture, though perhaps more than most people. It does not compare analogously to what I normally cover, but is well steeped in similar themes, and this comes from not being Western. The best comparison I can make is that most of the the books I cover are akin to Western painting traditions, steeped in matters of color, line, and proportion. Then, go visit an exhibit of Japanese woodblock prints. They are gorgeous, and balanced, and incredibly well done. The sparseness of the work does as much as any element in the beauty of the work, and yet, it is difficult to express. There is no wasted word, no moment out of balance, and no scene unneeded or too long. If an author wishes to learn about pacing, this book is well worth the study, as the tale moves, but only when it needs to, and only as much as it needs. Honestly, when this becomes physically available, I might buy two, just to have one on hand to loan to someone I can't get to read SFF, just to show what Castalia House is about. 9 of 10 fell deeds. Well, I promised a post covering some of the projects on Kickstarter. Let's see what's in the box! First, I'm going to discuss Exodus: Event Horizon from NKSN Games, as this project ends soon. This is for the second expansion to this game, as well as a run of the base game. I really like the game, it has great aspects of 4x and euro games. The game rules as written do have a problem with a cool but clunky movement system, and also it recommends movement in order from last to first, which I personally think is a bad idea, as it adds to a runaway leader issue these games can tend to have. Other than that, the game is really cool. Next up, Empires of the Void II from Red Raven Games. This game just launched, but I figured I'd cover the other space game at the same time. This appears to be a more limited style of 4x game, more casual, but with some nice potential, and Ryan Laukaut does some very nice art. The rulebook is linked on the project page, so feel free to check it out. A gameplay video should be up in a few days as well. What's that? You want an anime fueled 2 player skirmish game? Relic Knights 2nd edition might just be something you'd like. That said, it's got diceless combat, and the focus appears to be more on pretty miniatures than anything else, but it might be a good game. I haven't done the research on it. AEG has decided to resurrect one of its more successful games with Thunderstone Quest.. If you don't know the original Thunderstone, it's a deck building dungeon crawler that let you upgrade characters and equipment, and be turned back by beasts you couldn't handle. They've added a quest system and consulted players to improve the game, which gives me some hope, but I'm also wary. I've been warned the SocJus is strong with this one. You like dinosaurs? Who doesn't? In Dinosaur Island, you get to play out your version of THAT park. Push you chances with dangerous dinos, hire security, improve your labs, add some rollercoasters. Try to turn a profit while keeping your guests safe(r). Let's all kill Hitler! Black Orchestra is a cooperative game from Game Salute(caveat emptor) where players take the roles of real life conspirators that attempted to end Hitler's life. I really wish this were from another company, as GS has left a bad taste in my mouth in the past(over a year ago). In fact, I wish Osprey Games specifically were publishing this. But they've supposedly shaped up since those days, and maybe they have. Eagle Games has woken up and brought out a campaign for Can't Stop Express. That said, they're a little late to the shared dice roll game after Quixx has been out as long as it has. On the other hand, we're dealing with a classic Sid Sackson game as a base to work with. The game is simple, cheap, and fast. My biggest issue might be the possibility of identical scores consistently. Print the Legend is a game set in the Old West. They've listed a table of contents, and while I like Westerns and RPGs, I am personally wary of RPG projects. This might be a good exception. You like maps? You want to make maps easier? Hex Kit is a bit of software with tiles that have been designed by hand to create interesting maps. The tiles are initially drawn by hand, and loaded into the software. $10 gets you fantasy tiles only, $20 gets you space, and $30 gets beta access. There are plenty of cool looking videos to check out the map program at work. And finally, for those interested in Weird Fiction, Skelos Press is doing an anthology named Chicken Fried Cthulhu. There a ways short of their goal right now, so if you liked volume one of their magazine, you might consider this. Where did my week go? Seriously. I lost a week. Well, not really, but work has made it feel like that. Yes, I'm fine, don't worry. Just a bit tired more of the time than I'd like. Mandatory overtime and I don't get along for the long term. So now, I'll ramble and rant a bit, and give a little of my plans for next week. First, a bit of an Appendix N/pulprevolution ramble, as I do chat with those guys online a bit. I'm guessing I'm about the same age as Jeffro, but I think I lucked out in some big ways. I grew up with a GREAT used bookstore in town. We're talking something like a 4 story Victorian house, converted over entirely to this. Yeah, even the basement. When I went to college, the next town over had a small but excellent used bookstore as well. I bought a lot of stuff there, including a first edition of Dune(no slipcase, but yes, Chilton) for a mere $5. I think I stumbled into Robert E. Howard about then, or maybe late high school. I even read some Shadow and Doc Savage novels on a Palm Pilot when they were new and laptops were heavy. When I moved to the town I'm in now over a decade ago, there were three good stores for used books. I'm talking Richard Matheson in hardcover, ERB galore, Mickey Spillane, and more. One of them has closed, the other two are diminished greatly. On the plus side, one of the local libraries has a friendshop of donations/weeded books, and it rotates fast, and has some serious treasure potential. Anyway, when I got into Spillane, it was somewhat by way of Max Allan Collins, author behind Road to Perdition, Quarry, and a whole lot more. Around this time, a publisher started up an imprint for crime books, some of which were reprints, and some new ones. This was Hard Case Crime, they still are going, and doing the same, including comics with Titan Comics. Long story, well, long, I may have been peripherally aware of Appendix N, but I never went after it, but I didn't ignore old stuff, either. I hated that for over a decade I couldn't find any new Science Fiction that really wasn't Anti-Christian, and moved to reading more fantasy. I only got here because I found about the Sad Puppies about 2.5 years ago, and I quickly found Vox Day and Castalia House after that. 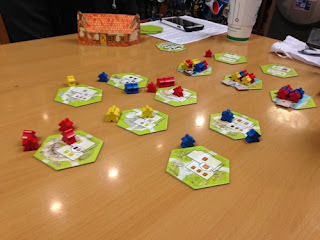 After I quit a job just over a year ago, I decided to start blogging about boardgames; I didn't see anyone on that front much, and I had a bit of knowledge of the hobby. I decided in April last year to start reviewing books, in thanks to Ben Zwycky's novel Nobility Among Us. I didn't even have my opening line for book reviews. Ok, this paragraphs was more straight history than ApN/pulprevolution related. Next! Second, in one recent rant on Marvel, Razorfist noted that Marvel gave the new Iron Man Chic a new codename(I'm too lazy to search for lamename), and rhetorically wondered why they went with the lesser Iron name from metal. While this may not have occurred to some, Marvel, one, doesn't want to explore the possibility of the suit causing pain in use, being a real(though lessor) Iron Maiden. Personally, that sounds pretty metal to me. Also, since there's little regard for virtue in major media these days, I also highly doubt they would consider exploring the idea of an actual maiden character. One that's actually chaste, and perhaps her powers are in part related to such, or at least the focus such might allow. Again, more interesting than what they've been doing. Third: plans. I do have some books ready for the next quick review set. Not the whole thing, but a start. Monday, I intend to do a post on Kickstarter projects of note. One I plan on pointing out launches then, so that's why. I will also do a Appendix N comics post later in the week; I'm currrently thinking about Thunda'a created by Frank Frazetta. Between fiction reads, I'm going through Jeffro's Appendix N book, and will have a more normal review of that when I'm done. Wait. This makes me sound busy. Nuts. I have other things I need to do/add to this, including a possible move later in the year. Fourth: Please harass Robert Kroese gently and kindly. He proposed on Twitter a novel that was part Chronicles of Amber, part The Man Who Fell to Earth, and part Count of Monte Cristo. Let this awesomeness happen! Cower not, fierce reader! We've before us a group of (mostly) sequels. There's good storytelling and reliability to be found in series and universes, and these books help demonstrate that fully. Let us approach the books, and contemplate their serial crimes. So today I'm going to start what I hope to be a series of posts featuring Appendix N and A-N type comic books. 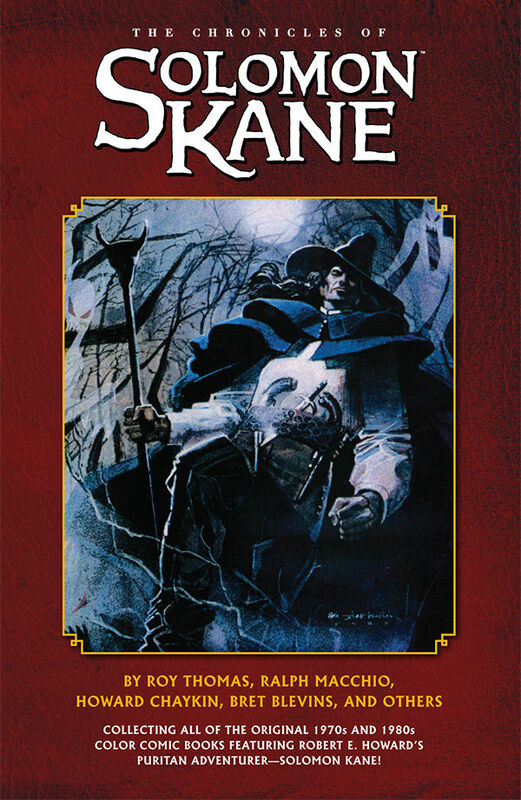 I'm starting with one of Robert E. Howard's more adapted creations, the Puritan swordsman, Solomon Kane! This will be specifically discussing the Chronicles volume from Dark Horse Comics, a reprint of Marvel Premiere 33-34 and The Sword of Solomon Kane miniseries. Not the Punisher, this guy travels, believes in God, faces devils, magic, and more, and yet holds on to faith. Now, in some ways one of this collection's strengths is also a weakness. The Marvel Premiere issues and issue one of the miniseries both cover the same story, Red Shadows. Honestly, I like having both adaptations. I think the Premiere issues had a better strength of adaptation, but the single issue version strikes me as having slightly better pacing. The earlier version has a different art style that comes off as a bit more primal, while the newer comes off as more geared toward the impressions of pose and action a movie presents. I haven't checked the prose, but I would not be shocked if the earlier was more tightly adhering to the original, but they're both well done. For the miniseries, the artist changes halfway through, and goes through new artists each issue. Not a problem, as these are each a single tale of Solomon Kane. Mike Mignola pencilled issue four, The Prophet, and while I'm not a fan of Hellboy, I like his art. There's a good balance of action, meditation, and the mysterious present in the tale. The miniseries closes with the story Wings of the Night, one as creepy as they can really come. Misguided worship, demon sacrifices, and a massacred village mark the way for Solomon's judgement. As an afterword, this issue also had the story Solomon Kane's Homecoming, a poem wonderfully adapted, with sparse panels to allow room for the poem to work. All told, this is great stuff. Next time(hopefully not more than a fortnight), I'll take a look at some Tarzan. 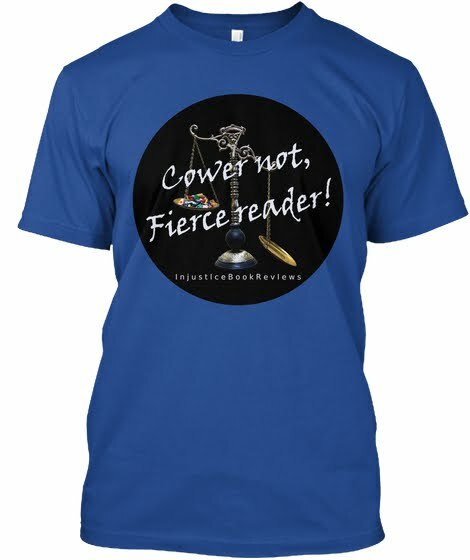 Cower not, fierce readers! Though I am later than I'd like with this review, I am well pleased to tell you this is a tome worthy of Mr. Wright, and has plenty of crimes against Social Justice. To the charges! Of course, our primary charge must be that this is penned by Mr. Wright. I won't go into those details again, but it is a heavy charge against this work. Next charge: though our protagonist is a female, this is an action story, and there is violence against her. We are reliably told that even in war, this is unacceptable. Nor is she all capable, but instead has to find out her abilities. Very minor spoiler: she doesn't know who she is at the start, and part of the tale concerns that. Of course, we must face the charge that there is good and evil within this book. And while things are perhaps not so well defined as in the Green Knight's Squire arc, there's good reasons for that, and they are still very palpable. We have counts of honor and trust observed and given freely to face here as well. While there are more charges that could be leveled at this tale, I'm going to set them aside for more standard discussion of the book. We briefly get a glimpse of some of our friends from the earlier tales, and while there's little time or interaction, it is good to see old friends. While I loved Swan Knight's Son, THIS is the book that makes me hope the graphic adaptation of Quantum Mortis does well. It begs for it, between the type of story we are told, and the characters. So please support that project, that this might become reality. Good and brave readers, I apologize for the silence of the last week here on the blog. I have been dealing with recovery from an injury, and most of my energies have gone to work and recovery. Yes, you may have seen me on twitter and possibly facebook, but those I can accomplish on my phone. I will not submit this to that. I purposely do not have internet at home, as I will spend far too much time wastefully online, and not accomplish good things like reading.